Are you having issues with the drainage or stormwater around your home? At TASM Plumbing we offer complete drainage and stormwater services. From drain clearing, to drain cleaning and replacing broken drains, we do it all. We have the best equipment for clearing blocked drains and we understand the urgency, frustration around having a blocked drain and we respond accordingly. 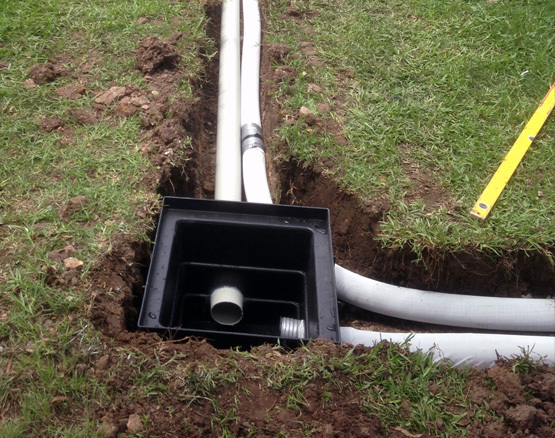 We can repair damaged drain lines or improve your lines for better drainage. Stormwater runoff can also present a big problem around the home. We will help advise you on the actions you can take to prevent stormwater runoff from causing frustrating and unpleasant water or flooding issues around your home or workplace. We provide a range of services for drainage and stormwater repairs and installations. With a great deal of experience behind us, we can also provide a range of solutions to any problems you are experiencing. There are many things you can do to prevent or limit issues occurring from blocked drains and stormwater runoff around your home or workplace. What do I need to do if my drain overflows? If you have a blockage in one of your drains and the drain is overflowing, stop using the drain immediately and give us a call. We will unblock it as quickly as possible. The flushing down of household items are a common cause of blocked drains. Items such as hair, fats / oils, baby wipes, food scraps, and sanitary products can cause issues in drains. Can I connect stormwater into sewer? No, stormwater lines cannot be run into a sewer line. This does not comply with Australian Standards and local authorities regulate this by using smoke tests. What is an overflow relief gully for? An overflow relief gully (ORG) is a drain-like fitting located outside the home. During a blockage, It is designed to release any sewage overflow away from inside the home to a garden outside. "Great job(s) Tom. Thank you. No more flooded garage or laundry. Tom is very knowledgeable, professional and has some great ideas."